More than 20 nursery professionals from most Australian states and territories, as well as New Zealand, joined the first in a series of webinars held to boost their knowledge of pests and diseases. The session on ‘Insect Pests vs. Beneficials’ was conducted as part of the levy funded project, ‘Building the resilience and on-farm biosecurity capacity of the Australian production nursery industry’. It is available on the NGIA YouTube channel as an ongoing reference tool (click here to watch the video). Project leader and presenter, Andrew Manners, highlighted the importance of nursery professionals monitoring pests in their crops by regular observation, and utilising tools such as sticky traps. 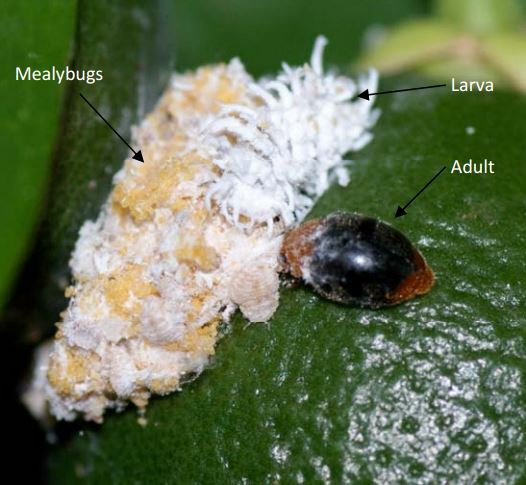 Pests and beneficial bugs can often look similar, meaning nursery professionals need to be able to distinguish between the two before planning for pest management. Tools such as the Pest Identification Tool are available to assist nursery producers in identifying and treating pest insects, diseases, disorders and weeds. It also includes information on beneficial insects as biocontrol treatments. The webinar included useful image examples of evidence of prey, including chew marks and sucking damage, as well as insect habits and population. Participants were particularly interested to find out about the use of sticky traps, particularly for monitoring fungus gnat numbers in their crop. One of the keys to using them successfully is to monitor them regularly – at least once a week. Growers who are unsure about a pest, or pest evidence, were advised to go to Grow Help Australia, which offers testing for pests and disease organisms in plants, seeds, potting mix, soil and water, and plant pathogen testing to support accreditation scheme and export requirements. Instructions regarding sending diagnostic samples are available on the Grow Help Australia website. Nursery managers were also encouraged to review the suite of resources relating to pests on the NGIA website. PHOTO: Beneficial insects such as cryptolaemus (native ladybird beetles) were covered in the webinar. These insects prey on mealybugs, and are able to clean up large populations of the pest.